"Appearances, facts, and truth – how could anyone know if they were one and the same?" A magical, engrossing story of a leader, a team, and the power of putting people and values first, THE MAGIC CUP reminds us of the fairy tales we grew up on where good always wins over evil, and where those who do the right thing come out on top. In our real worlds, competition for success is often rough, and even cutthroat, and we’ve often been taught that nice guys—and women—finish last. 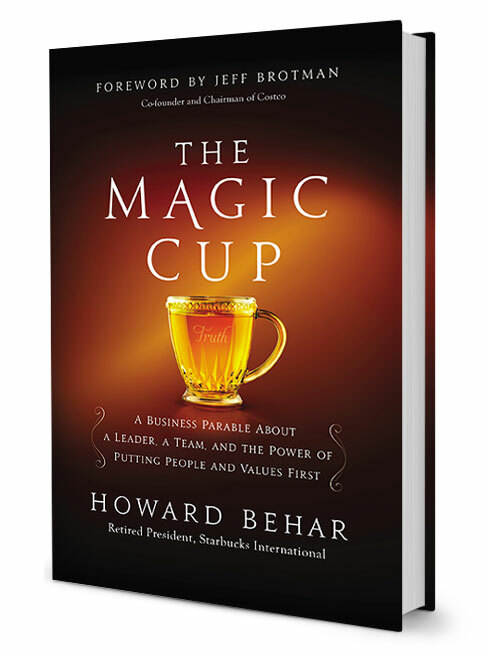 Yet the story of THE MAGIC CUP, and the example of Howard Behar’s own life and leadership, prove otherwise. 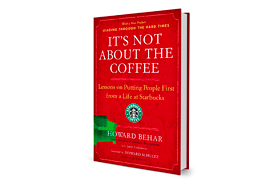 Inspired by his landmark years as one of the three leaders who built the Starbucks organization, and the enthusiastic response to his first book It’s Not About the Coffee Howard Behar now inspires readers and entire organizations to remember, believe in, and act on the values, bigger purpose, and success they aspire to—and to reap the personal and business rewards that ensue. The story revolves around Vince Steadfast, the newly named CEO of the imaginary manufacturer, Verity Glassworks, which has fallen on difficult times. Vince is hired to help the once iconic company return to its glory days, and he brings with him a parting gift from his mentor and former boss: a stunning crystal coffee cup from Verity's halcyon days. As Vince and his new team make their way through many challenges, including the aptly named Worthy Way, the Perilous Passage, and the Arduous Stairs, the cup turns out to be magical - truly - and its ability to fill itself with an elixir of good will helps Steadfast come to understand and reinvigorate the values that Verity has misplaced along the way.In the tradition of great parable writers throughout history, Behar quickly involves us in an engrossing tale, continually challenging us to compare each situation with our own real-life experiences. The story of The Magic Cup helps each of us discover that it is only by acting on sound moral principles that can we fill our own cups with the personal and professional success and satisfaction we seek. "The gift of the The Magic Cup is in helping every one us think about and develop our own personal foundation. It is a charming book with a substantial and deep message we all need to hear and heed." "This small but powerful book is full of magical advice: be courageous, search for truth and you will find great success in work and in your life." 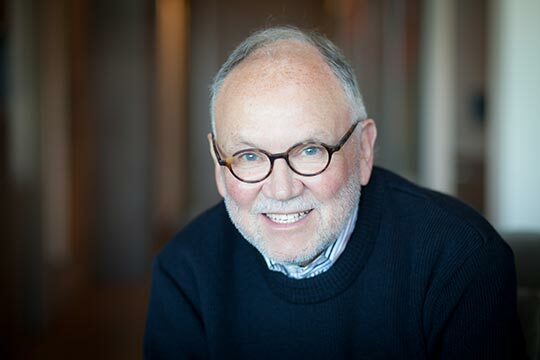 "The story of The Magic Cup enables a wide audience to benefit from the insights of a man who helped me become a more complete leader and a more complete person." "When people join your purpose, not just your company, you get engagement. Engagement is a super power that makes problems disappear, aligns teams, and creates loyal consumers. It gives our work meaning. No one understands this better than Howard Behar. I was fortunate to learn these lessons working with Howard personally. The Magic Cup shares the power of purpose, people and values. These lessons have shaped the way I lead and the culture of companies I have helped build such Lululemon and now at LUVO." "This gem of a book imparts deep leadership lessons in a compelling and enjoyable manner. It is destined to become a classic." "The Magic Cup beautifully illustrates that there's nothing more powerful than TEAM when passion, a focus on a purpose beyond profits, and sheer will to ensure everyone around you thrives is at its center." "This book delivers! Howard's simple and relatable story shares a powerful message that should be read by everyone. The Magic Cup reminds us to give more than you take to find your true path to happiness." "The Magic Cup isn't about magic at all--it's about leading with values first and succeeding by doing the right thing at every turn. Everyone can learn from this inspiring story." "The Magic Cup is a fast-paced, Harry Potter-like thriller, an unforgettable parable about what leadership really is and what matters most, especially when times are tough. A truly great read!" "The Magic Cup's parable of modern business life could not be timelier. 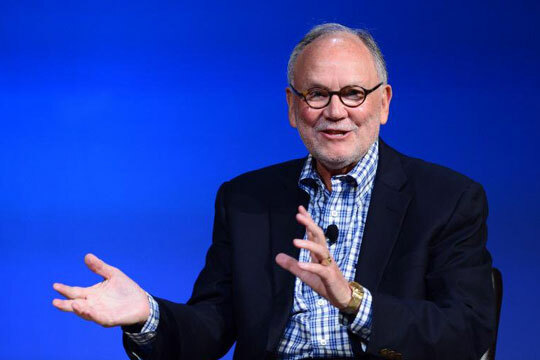 Howard Behar, a business hero if there ever was one, reminds us of the power of human values and purpose and the possibility for creating a different type of company- and the many rewards from doing so. " 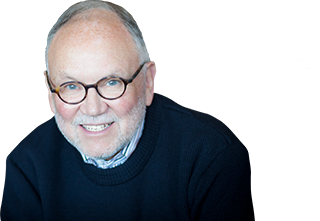 "In his book The Magic Cup, Howard Behar shares proven insights that are easily understood and, more importantly, actionable reading. His book will make a positive difference in your business, your life, and all the lives you touch"